Jane is one of many patients who spent years seeking help for symptoms that included shortness of breath, weakness, and blue discoloration of her hands—symptoms that can mimic several health conditions. After visiting many specialists without any answers, she and her husband were grateful to find Waxman, who identified pulmonary hypertension as the underlying problem. Under his care, Jane’s health improved. 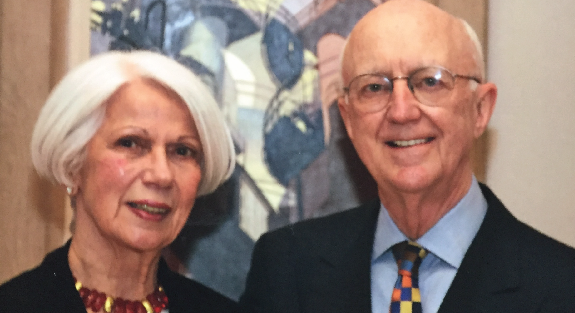 Eager to help Waxman assist other patients with the same disease, the Burkes made a gift to the Brigham in 2014 to establish the Jane and Robert Burke Fellowship in Pulmonary Heart Disease. The hybrid fellowship is the only program in the country that cross-trains doctors in cardiovascular and pulmonary research and care. “When we learned about Dr. Waxman’s vision for this fellowship and his passion for teaching the next generation of specialists, we knew we wanted to support his efforts,” says Jane. The progress made by the fellows to date impressed the Burkes so much they recently committed an additional $1.375 million to expand the program. They also made a provision in their will to permanently endow the fellowship. Earlier this year, the first fellowship graduate, Bradley Wertheim, MD, accepted a full-time position in the Brigham’s Division of Pulmonary and Critical Care Medicine.